China will launch the Wing Loong ID in 2018, the latest model of the domestically-developed Wing Loong UAS family, with a series for a new model also underway, its developer AVIC has announced. The Wing Loong ID is developed by Chengdu Aircraft Design & Research Institute (CADI), a subsidiary of the state-owned Aviation Industry Corporation of China (AVIC) in southwest China's Sichuan Province. It will conduct it maiden flight and enter the market in 2018, said AVIC at the Wing Loong UAS Development Conference. "The Wing Loong ID is the first generation of improved reconnaissance-strike UAS in China. With other members of the family, it will help enhance the influence of Wing Loong brand in the global military trade market," said Li Yidong, chief designer of the Wing Loong series and vice chief designer of CADI. The Wing Loong ID is the improved model of the Wing Loong I UAS. 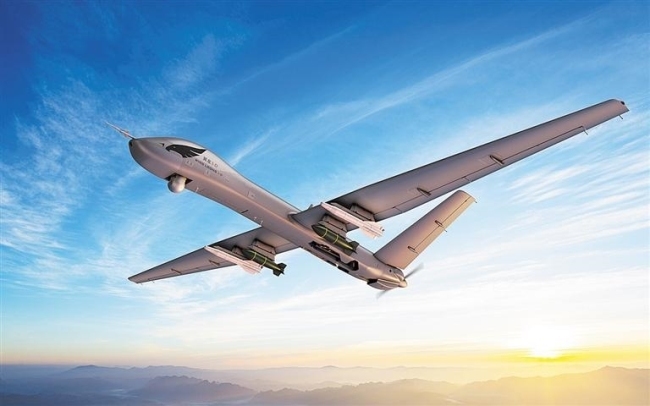 It is a high-performance, medium-altitude and long-endurance reconnaissance-strike UAS, completely made of composites and newly designed to meet the requirements of market. "The Wing Loong ID is more affordable in price and more competent in capability than Wing Loong I. It can satisfy various operating requirements of more foreign military sales customers," Li said. It has the optimization of aerodynamic layout and installation of high-power engine. It is enhanced in takeoff weight, ceiling, endurance, communication, internal carriage and external stores, according to Li. The Wing Loong ID can play an important role in security, such as intelligence acquisition, surveillance, reconnaissance, counter-terrorism, border patrol, the fight against drug trafficking, and smuggling. Moreover, it is capable in the civilian domain, such as territorial resources surveys, pipeline inspections, as well as disaster monitoring and evaluation. The Wing Loong family is a high-end reconnaissance-strike drone series independently developed by China, and its serial development is gaining momentum. "China started the Wing Long UAS development in 2005. To date, it already has two generations, the Wing Long I and Wing Long II series, respectively," said Ji Xiaoguang, CADI president. The Wing Long I conducted its maiden flight in 2007. And Wing Loong II successfully completed its maiden flight on Feb. 27 last year, showing that China was capable of developing large-scale reconnaissance-strike UAS to international standards. "The Wing Loong II has earned the largest order for Chinese UAV in the global foreign military trade. In the future, more series and members of the Wing Loong family are under plan," Ji said.